I’ll never forget the first time I saw the movie Mad Max as a kid. I remember thinking what in the world is going on with this movie! I was fairly young and didn’t necessarily follow or understand the plot of the iconic film, but yet it was one of my favorites. 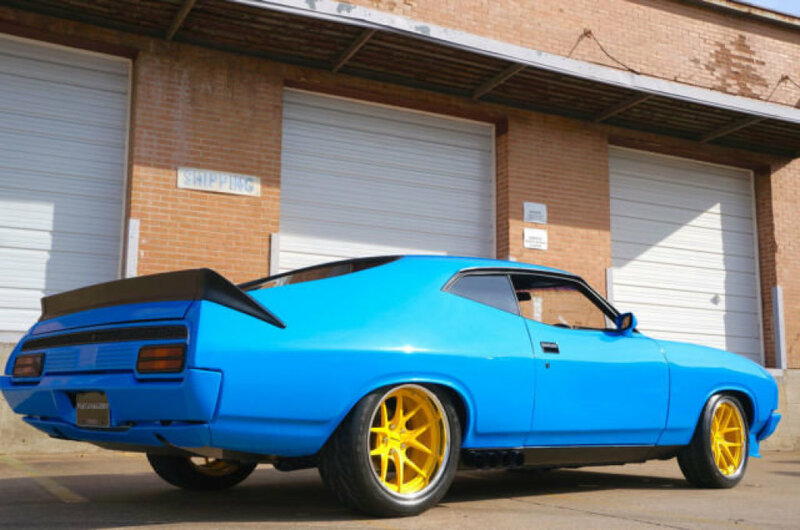 The reason being one very particular car, the “Pursuit Special.” When Mel Gibson flips the switch to engage the blower, I was instantly hooked. I had no idea what kind of car it was, but I was fascinated with it. And I’ve got a feeling that I wasn’t the only one because still to this day, that is one of the most legendary movie cars of all time. 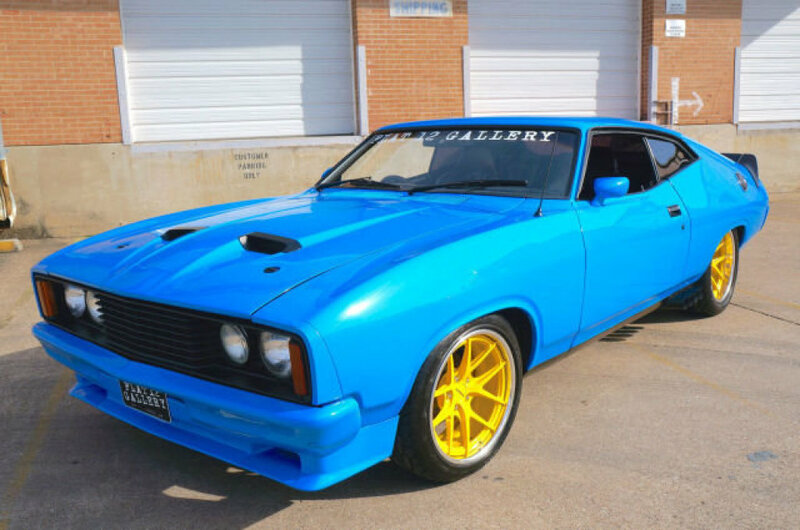 It turns out that it was based on the Ford Falcon XB GT that was exclusively sold in Australia. That means that it’s quite rare to see one here in the United States, so fulfilling that dream of being behind the wheel of one is a long shot. 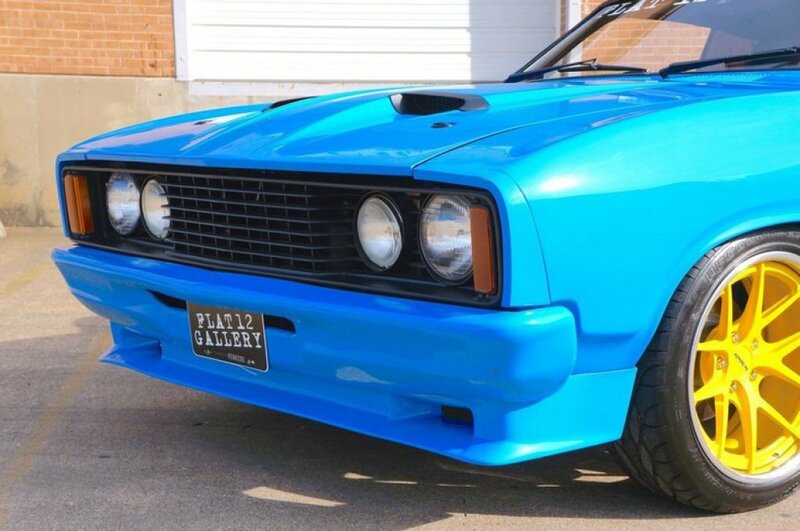 Imagine my surprise when I came across this stunning baby blue example of the Falcon XB GT that is not only here in the states but will be sold at an upcoming Dan Kruse Classics Auction. 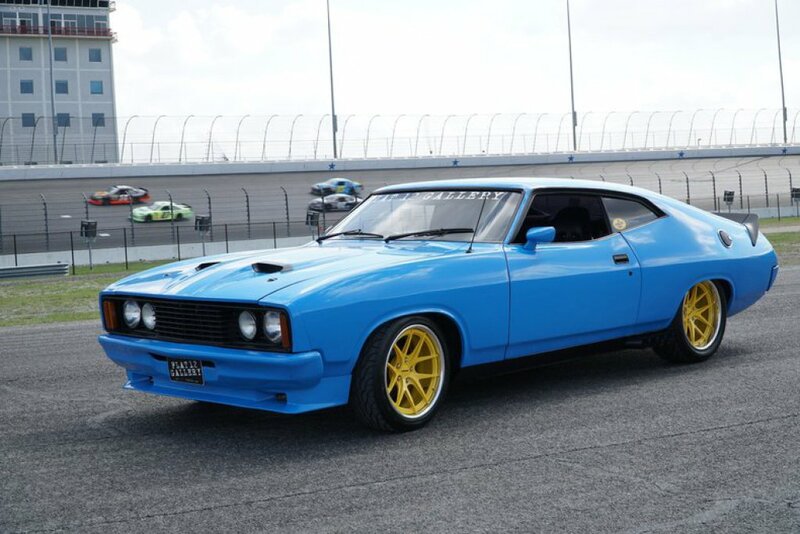 If you want to get technical, the Mad Max Pursuit Special was actually based on the 1973 Falcon, where this gorgeous blue variation is the 1976 model. But it has a very similar body style, and I believe the ’76 was even part of the same production run as the 1973. But it’s close enough, and likely will be the closest you’ll ever get to driving or owning one of these iconic machines. 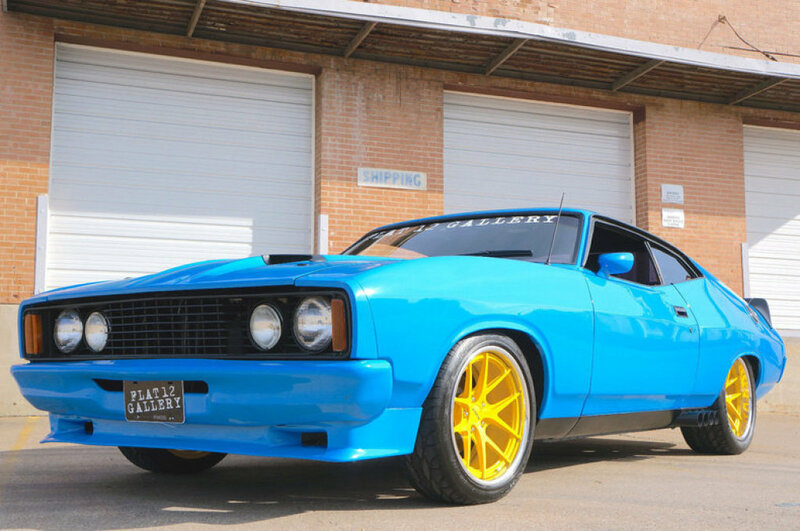 This particular example was featured as a SEMA car and has been given a whole list of upgrades making it even more appealing. 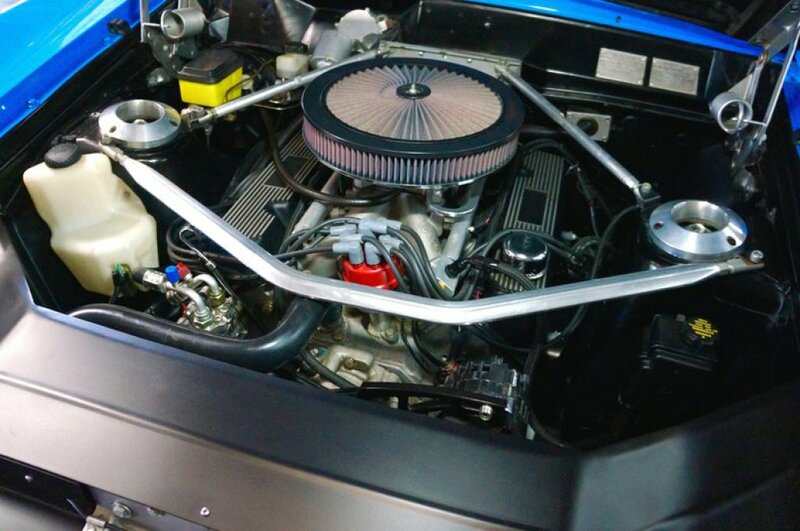 Under the hood sits a Kotzur Racing Cleveland V-8 that’s estimated to put out at least 540hp. 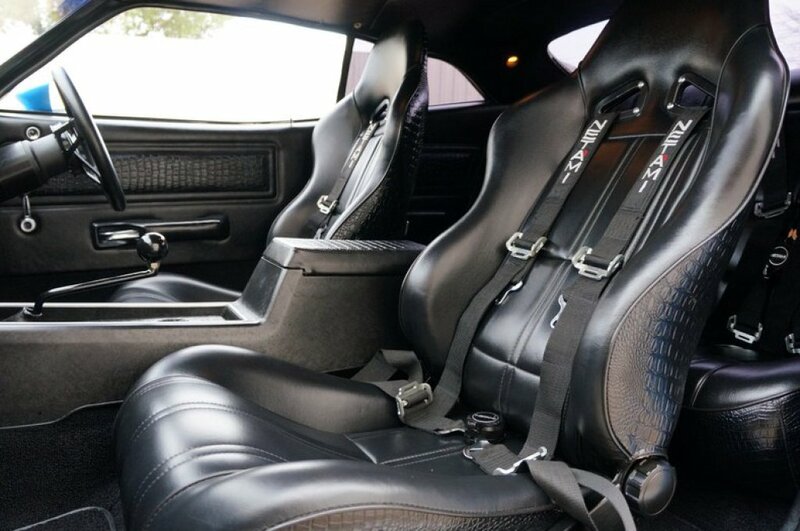 All that power is sent to the rear wheels via a proper three-pedal 5-speed manual transmission, in true muscle car form. Considering that it’s a SEMA build the list of upgrades goes on and on, but an important one worth noting is the new three-link suspension system including tower brace and sway bar. Which is probably a good thing because if there’s one thing that these old muscle cars are notoriously horrible at, it’s the handling. 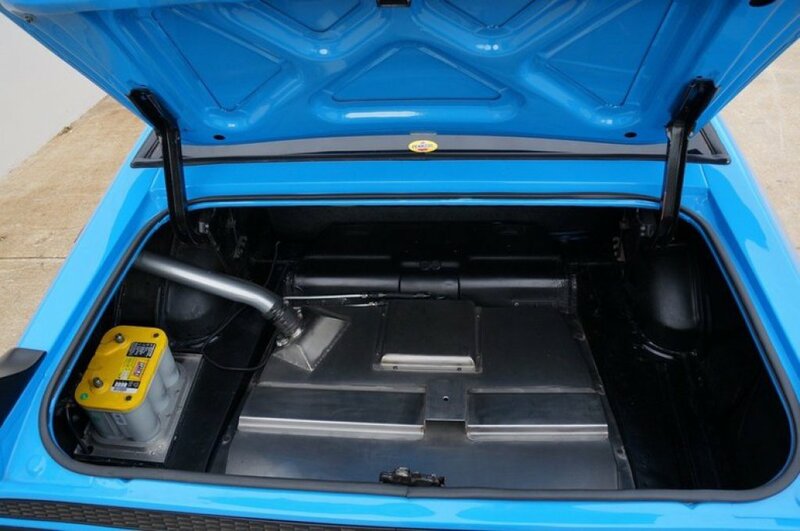 If you’re going to upgrade the power and handling, you really need to upgrade the brakes to bring the old girl to stop after unleashing the beast lurking underneath the hood. To handle the stopping duties, the Falcon was fitted with disc brakes on all four corners with 12-inch cross drilled rotors and 2 piston calipers. Not to shabby right? 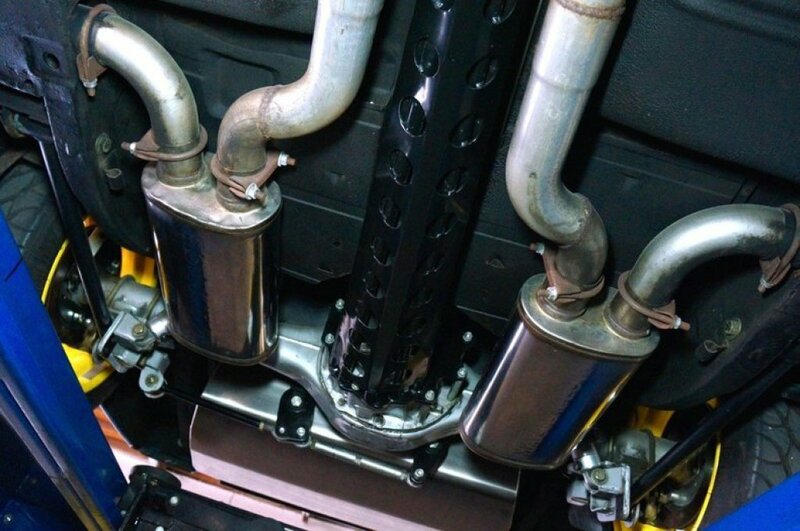 And to bring the whole muscle car theme together, it has 3″ Magnaflow mufflers that will give the car that deep throaty growl that only a true muscle car can bring. Cosmetically, the car has a very distinct look so you really don’t want to mess with it too much. It was painted in that shade of blue that I personally find irresistible. 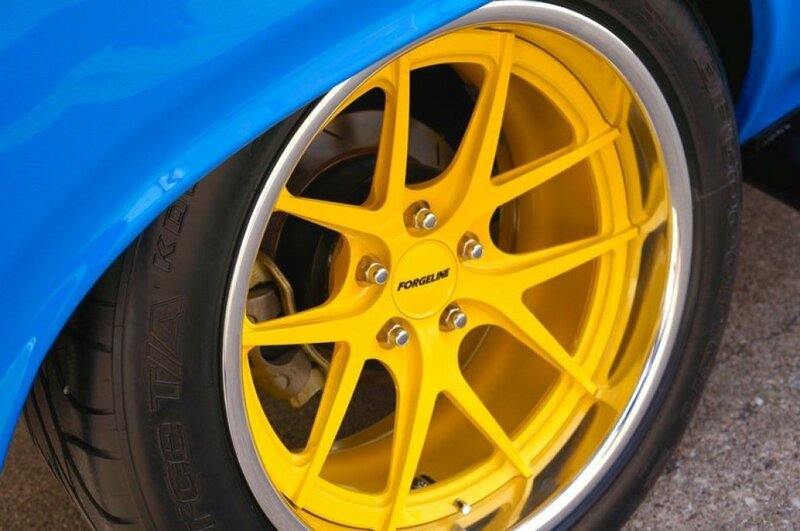 It even somehow pulls off the bright yellow rims and makes them look cool, even though that sort of thing normally drives me crazy. All it needs now is giant blower popping out of the hood and you’ll be giving your Mad Max childhood fantasies! 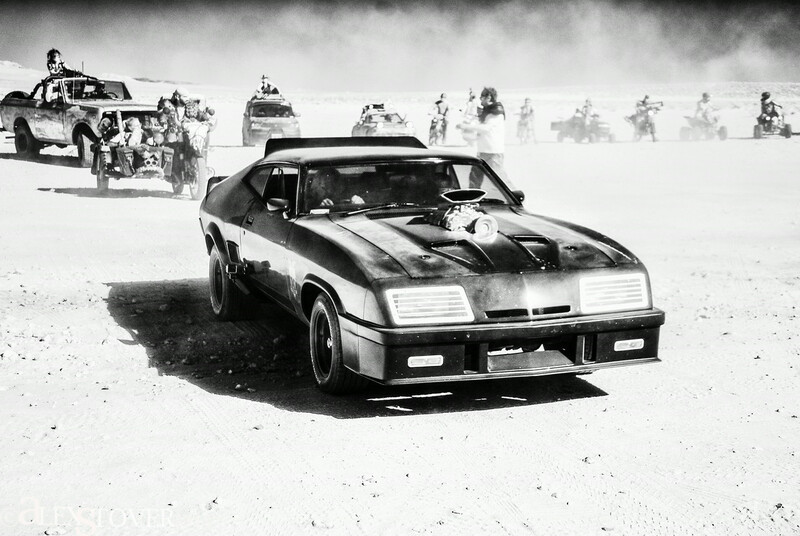 So if you’re looking for a badass car, or better yet a badass muscle car, that nobody else has and most people will have to ask you exactly what it is, and you had a fascination with the Mad Max, look no further than this iconic machine.